Created by Jeremy’s friends and family, Herbie’s Home “TOWN LOOP” (HHL) was originally a community run/walk and bike ride event put on in memory of Jeremy…to remember him, to honor him, and to give something back to the community who gave so much to them. This year will mark the 12th Annual HHL. In conjunction with the Bellefonte Arts and Crafts Fair, the event will take place on SATURDAY, AUGUST 11, 2018 beginning at 8:30AM at the intersection of High and Spring Streets in downtown Bellefonte. ***Funds raised from this year’s event will benefit the Bellefonte Area School District’s Track Project. Following Jeremy’s death on April 16, 2007 there was an outpouring of love and support from the Bellefonte and State College communities for Jeremy and his family that they will forever be grateful for. By the time that summer of 2007 rolled around Jeremy’s family was anxiously looking for a way to give something back to their community as a thank you of sorts. They knew that whatever they did would seem small in comparison to what the community had done for them but they were determined to try and come up with something substantial. As well, they desperately wanted to do something for Jeremy, not just to remember him, but to give him his day, the day he’d never have, as he’d lost out on so much through his untimely death (gradations and a wedding, children, birthday party milestones, all of that stuff that’s so easy for us to overlook in our everyday lives and take for granted). And so, they created this event. Initially, HHL was just a 4-mile run. The race course was purposively chosen because it follows a route that Jeremy and his siblings used to run together quite often. Jeremy was always naming his runs silly things, and this run naturally picked up the tag line of “Town Loop” (it looped the town of Bellefonte). From Day 1, Jeremy’s High School Cross Country and Track teammates and coaches called him Herbie. 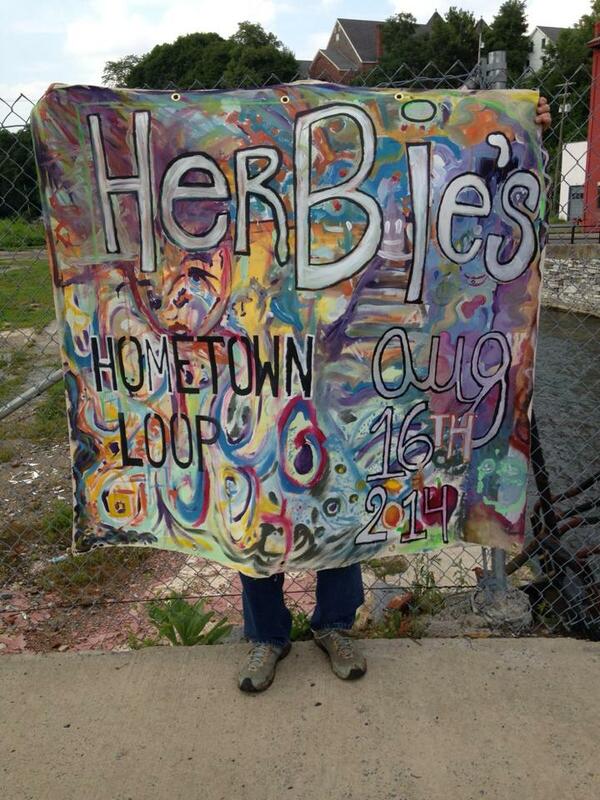 His hometown was Bellefonte, and so, we fittingly named the event Herbie’s Home “Town Loop”. Jeremy loved local running races, local 5K’s and 10K’s, gluttonous food thereafter, sweet race t-shirts, beer at the finish line, the whole to-do! He would have been all over HHL! And so, we ask you to run with us, to enjoy the day, to remember his spirit, and support your community. Fair festivities run Friday and Saturday. Even if you’re not a local, please consider making Herbie’s Home “TOWN LOOP” and the Arts Fair a weekend away in Victorian Bellefonte.